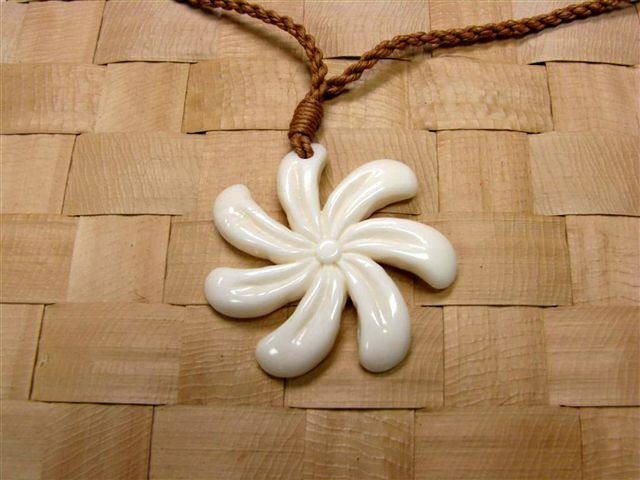 The tiare ornament is made from buffalo bone and braided string which is adjustable. A lasting beautiful reminder of beautiful Hawaii! Nice looking on, adjustable but keeps setting well!